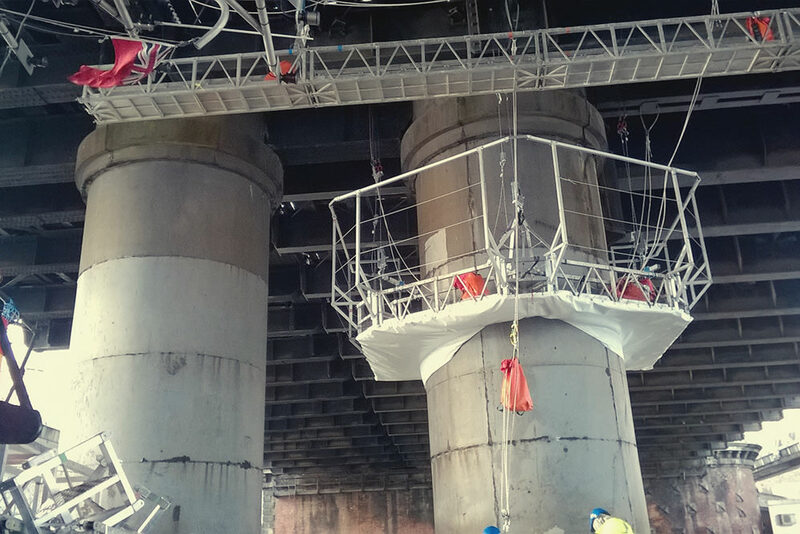 Having identified that stitch repairs were required to the cast iron piers, Network Rail required a safe system of work devising. This would ensure minimal disruption to the operational railway above and the navigable river channel below, whilst also eliminating any risk of polluting the water course. 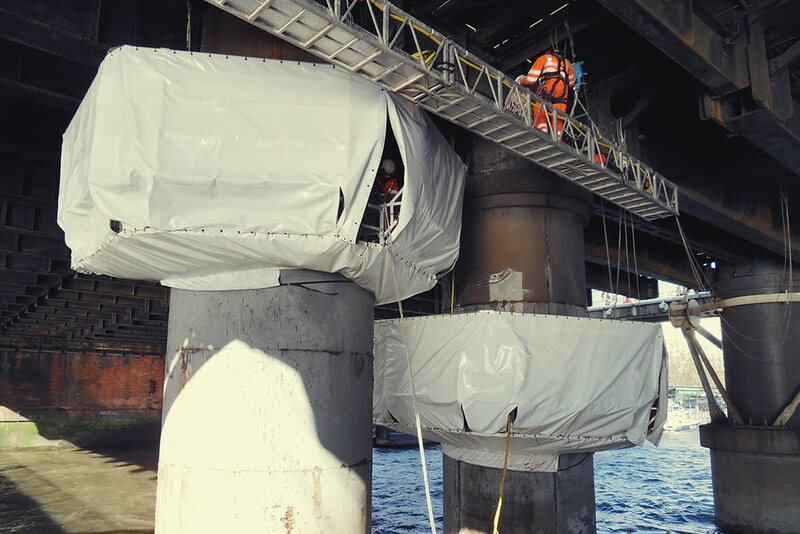 A collaborative working relationship between Network Rail, Costain, CAN and Metalock enabled the design, development and approval of a bespoke access and containment system which encompasses the columns of the piers – Ring CAN-Span. 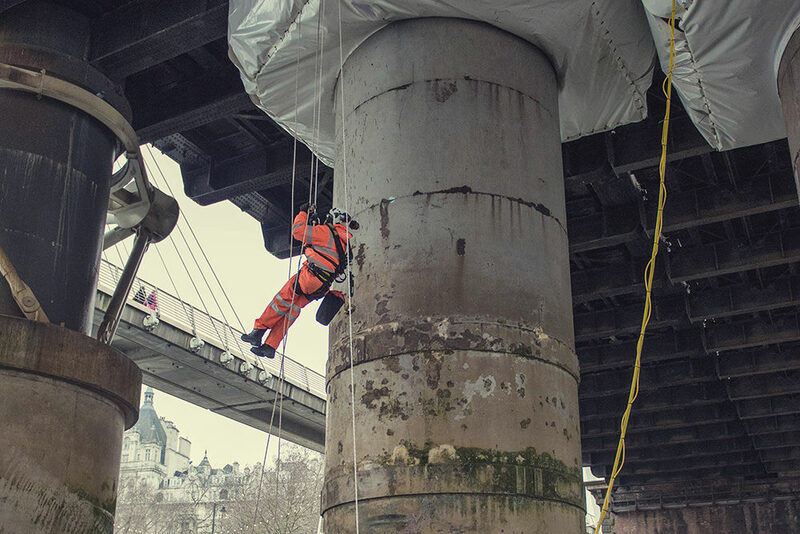 CAN technicians having already accessed the soffit by traversing from the adjacent Golden Jubilee footbridge then lowered the necessary winching cables from above. The Ring CAN-Span system was assembled on a barge, winch cables connected and it was then hauled into place. 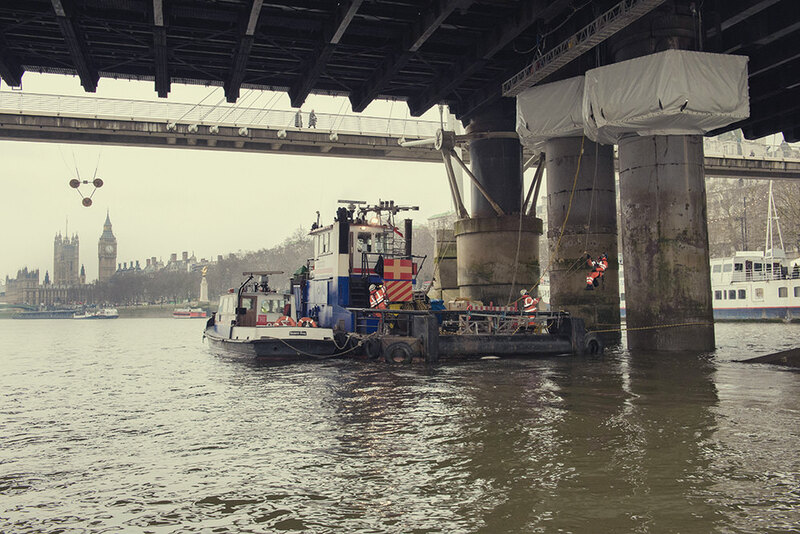 Each day the Costain, Metalock and CAN team are transferred by safety boat to the barge. 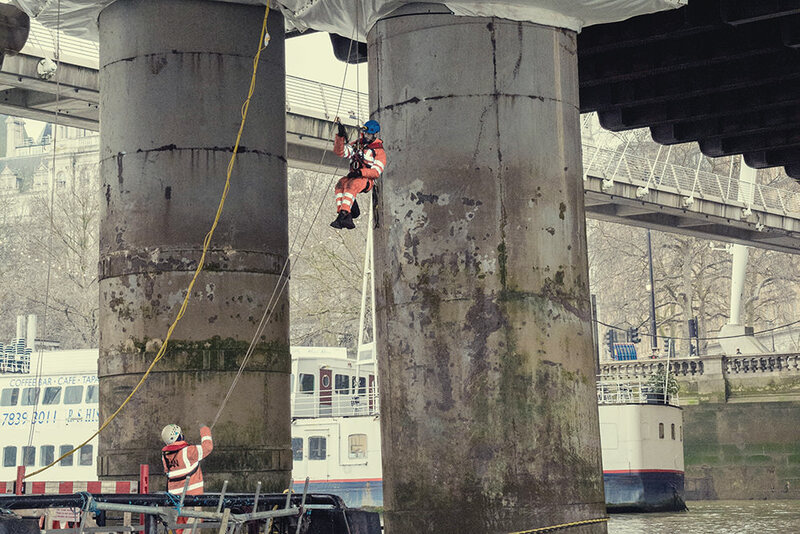 The team were then winched up from the barge to the Ring CAN-Span using a powered ascender system or by stepping from the barge onto the Ring CAN-Span if it was at water level. The complete access system was then winched up and down the pier legs to suit tidal conditions and work requirements. Throughout the course of the works the navigable river channels remained open. There was no disruption to the railway lines above with all access taking place from below.